Sentec starts distribution of DigiScape® - a superior alternative to PVC wallcovering materials. 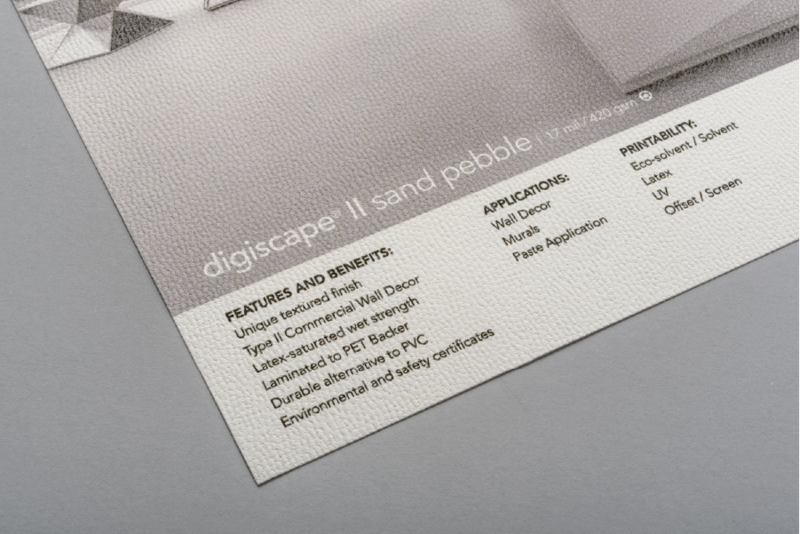 DigiScape® is non-woven wallcovering print media reinforced with synthetic fibers for strength and durability. DigiScape® is a superior alternative to PVC wallcovering materials. The product is dimensionally stable and tear-resistant with a bright white surface. Available for both paste and pressure-sensitive (PSA) applications. 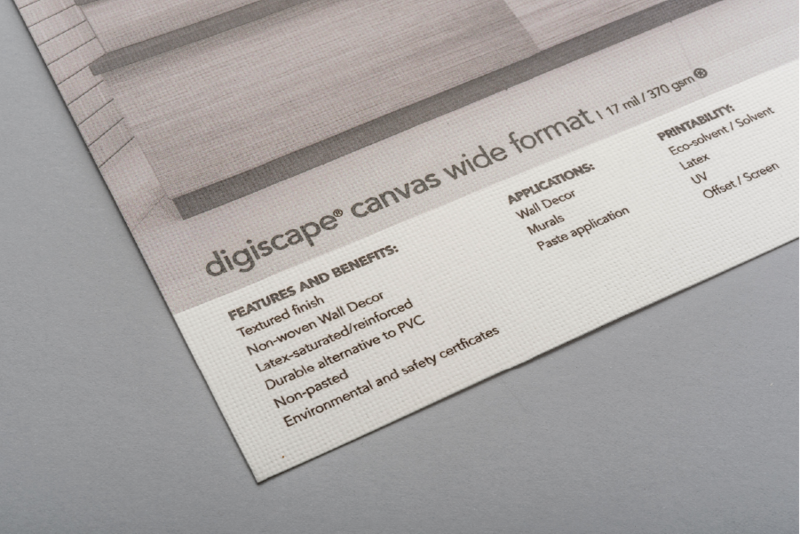 DigiScape® Smooth 260g: DigiScape® Smooth is a 260g digital print commercial wall covering media. It is manufactured using 30% post consumer waste content, and latex saturated cellulose fibers. For added strength and durability it contains long synthetic fibers. 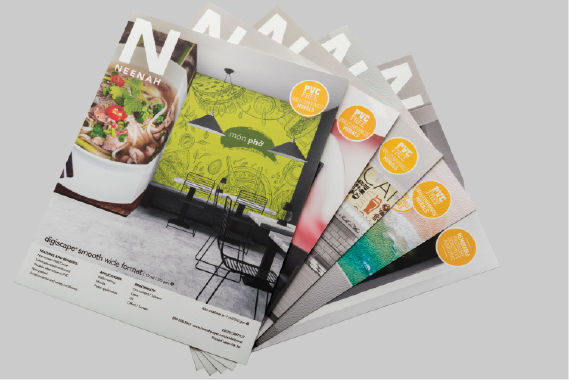 DigiScape® Smooth 260 is a durable alternative to PVC wall covering materials and is manufactured with a smooth matte print surface to reduce glare and improve ink adhesion. Finished with a print surface compatible with Latex, (Eco)Solvent, and UV Curable inkjet printers. 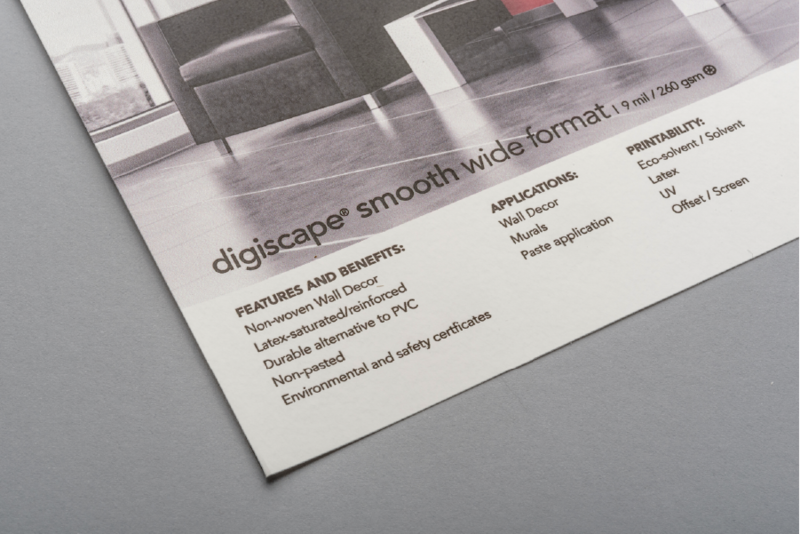 DigiScape® Smooth is also available in a 370 and 420 gram version. DigiScape® Canvas: A 370 gram PVC-free wallcovering product with a canvas-like texture to hide imperfections as well as to give the appearance of a true textile wallcovering. 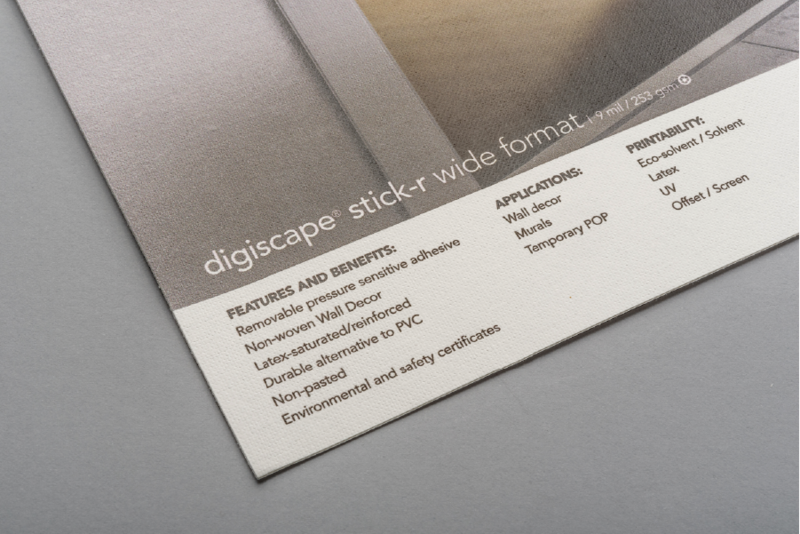 DigiScape® Stick-R: Removable PSA with a release liner for easy peel and stick application. The product has a slight weave texture matte finish for added interest to the final print and to help cover surface imperfections.